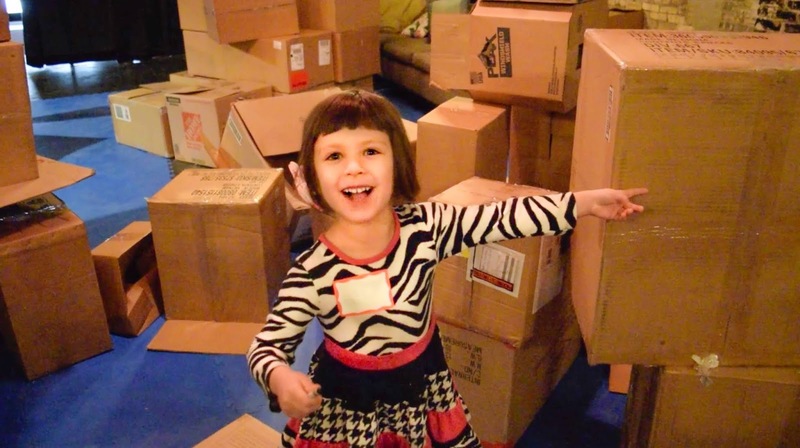 It's no myth that packing boxes can be much more fun than what they contained. 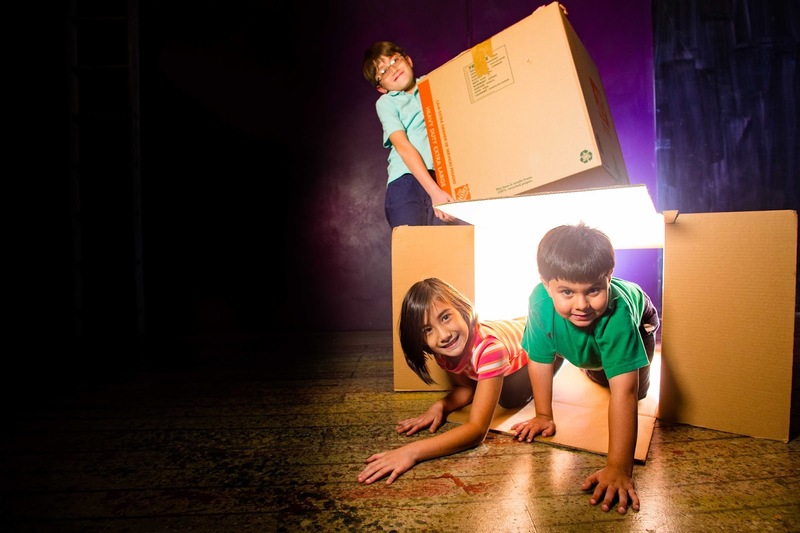 Here at ChiIL Mama, we love the creative possibilities in Filament Theatre’s hit immersive play experience for families, FORTS: Build Your Own Adventure. Check it out! There's limitless potential for family friendly fun in this unique space. 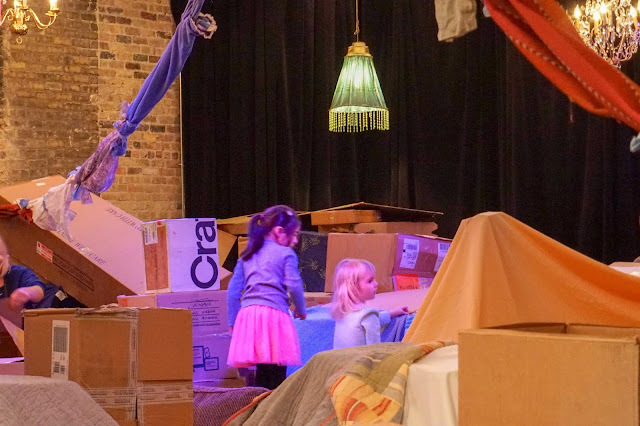 Filament Theatre’s hit immersive play experience for families, FORTS: Build Your Own Adventure, returns January 5 - March 10, 2019 to Filament Theatre, 4041 N Milwaukee Avenue in Chicago. Conceived by Filament Theatre artistic director Julie Ritchey, FORTS: Build Your Own Adventure welcomes families to build, imagine and play together in an interactive playspace. Single tickets and birthday packages are now available at www.filamenttheatre.org. Enter a world of play and creation as Filament Theatre transforms into a playspace for children and parents to build new worlds. 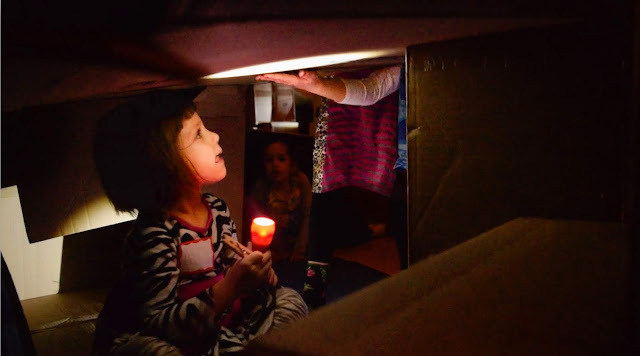 Using cardboard boxes, sheets, clotheslines and more, families build adventures of their own devising. With theatrical design elements of sound and lights working together to support creative play, families are swept away in the adventure! Instructions will be available in both Spanish & Polish. The production team for FORTS includes Eleanor Kahn (space designer), Jeffrey Levin (sound designer), and Carley Walker (lighting design). 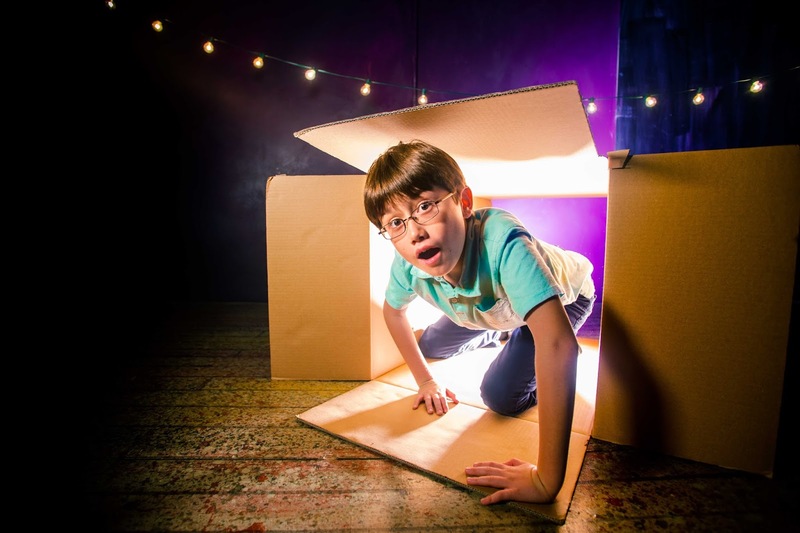 Sensory-friendly Performance: Filament Theatre offers a sensory-friendly performance of FORTS: Build Your Own Adventure on Saturday, February 23 @ 11am. This performance is reserved specifically for families who have at least one member with sensory sensitivities. Tickets are now available at www.filamenttheatre.org/forts. 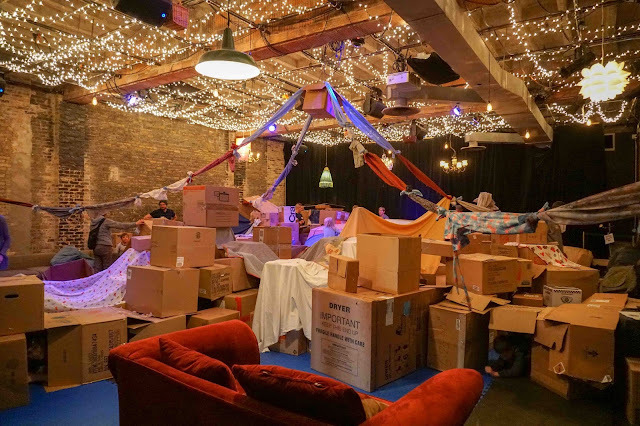 Due to popular demand, Filament has adapted this family experience into a BYOB adults only night for adults looking to reconnect with their inner child! Adult nights will be held on January 12, February 9, and March 9 @ 8pm. Tickets are available at www.filamenttheatre.org/forts. 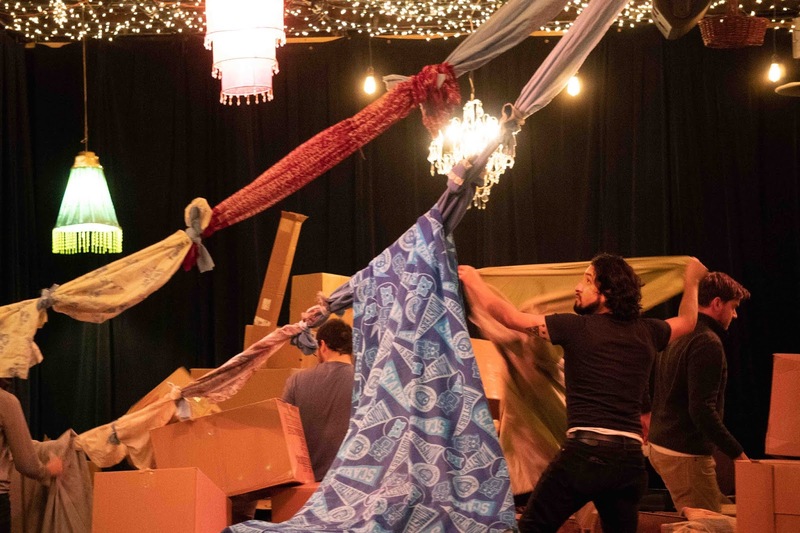 FORTS: Build Your Own Adventure received its world premiere at Filament Theatre in 2018. Additional performances will be held on Martin Luther King Jr Day (January 21 @ 11am) and Presidents Day ( February 18 @ 11am). Adult Nights: January 12, February 9, and March 9 @ 8pm. Ticket Prices: Parent-child pair ticket: $18. Additional tickets: $8. (Price includes all ticketing fees). Tickets are now available at www.filamenttheatre.org. For questions call the Filament Theatre office at (773) 270-1660. Filament Theatre creates immersive and site-specific theatre that inspires, empowers, and activates young people and their communities. Filament envisions a future in which the leaders of tomorrow approach others with radical empathy, serving as ambassadors for their communities and stewards of the Earth. The company’s staff is comprised of Julie Ritchey (Artistic Director) and Christian Libonati (Managing Director).